In the small hours of the morning, Abi Knight is startled awake by the phone call no mother ever wants to get: her teenage daughter Olivia has fallen off a bridge. Not only is Olivia brain dead, she�s pregnant and must remain on life support to keep her baby alive. And then Abi sees the angry bruises circling Olivia�s wrists. When the police unexpectedly rule Olivia�s fall an accident, Abi decides to find out what really happened that night. Heartbroken and grieving, she unravels the threads of her daughter�s life. 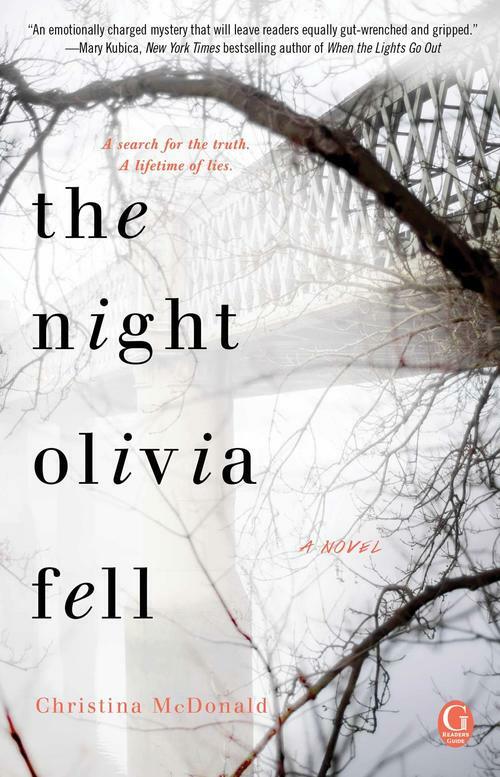 Was Olivia�s fall an accident? Or something far more sinister? Christina McDonald weaves a suspenseful and heartwrenching tale of hidden relationships, devastating lies, and the power of a mother�s love. With flashbacks of Olivia�s own resolve to uncover family secrets, this taut and emotional novel asks: how well do you know your children? And how well do they know you?